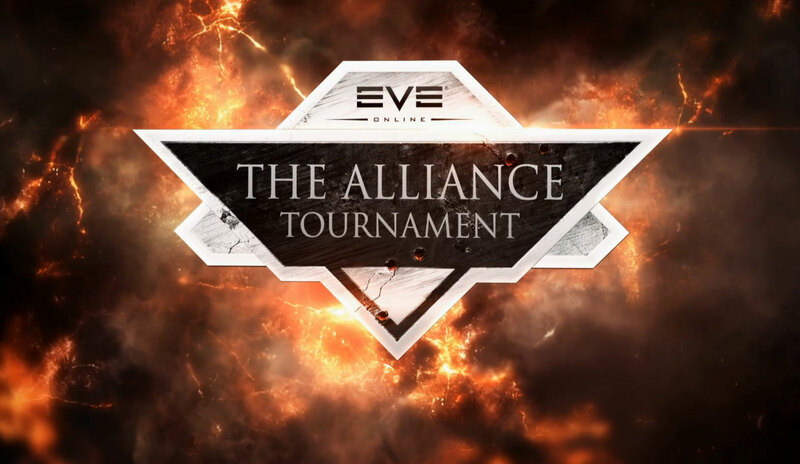 After a long four weeks, EVE’s 12th Alliance Tournament wrapped up last weekend. Over the next few Fridays I will dissect several aspects of this year‘s Tournament. In this piece, let’s start with overall impressions. One of the biggest challenges in presenting EVE as a sport has always been the complexity of EVE itself. For newer players it remains difficult to follow what is actually going on in the matches. While the UI has improved over the years and the Attack/Defense/Control bars help with understanding the situation, the fine details of several fights are still hidden from many players. CCP continues to rely on community commentators paired with competent CCP developers to explain whatever happens in the arena. Tournament veterans like Elise Randolph and Bacchanalian added a lot of insight and entertainment this year. SirSqeebles and Apothne, both newcomers to Iceland, have shown great talent and I enjoyed them a lot. Pandemic Legion‘s biggest threat during any Alliance Tournament is our own commentator, and Elise Randolph was no different this year. I’d imagine he probably had some rough minutes during our matches. Well deserved for telling all our secrets! Unfortunately, there were several issues this year during the stream. On the first two weekends there were some hiccups. One the third weekend, the UI was broken over several matches. CCP‘s system to move players from their stations in New Eden broke also two times. 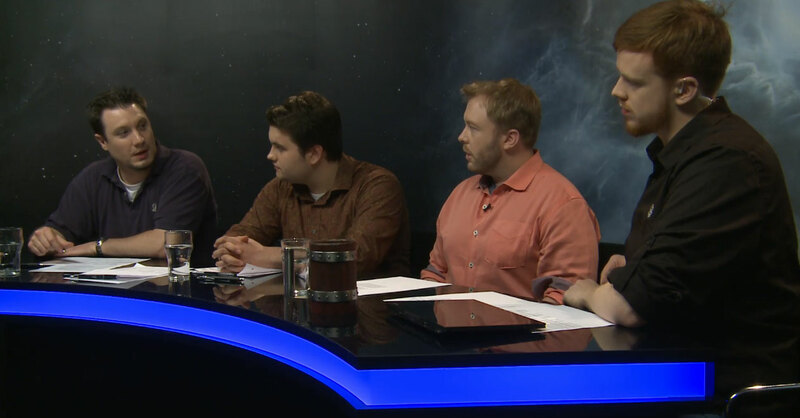 On the third weekend the broadcast was about 1 hour and 45 minutes behind the schedule, making it harder for teams to be ready in time and not miss bans or formups, and stretching even further the time commitment required to watch the tournament for fans. At one point the tournament system PE1-R1 did not work at all, not showing damage or notifications. CCP Veritas had to scramble and fix the system on the fly. Some of the issues are quite possibly linked to CCP‘s recent layoffs; for example the former streaming guru CCP Loxy’s absence was likely felt both before and during these events, and notably afterward, as well. 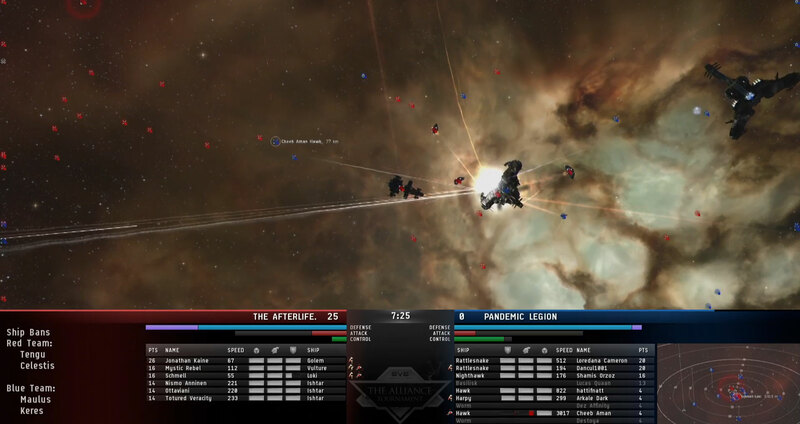 During ATXI, he was able to cut and upload individual matches to CCP‘s YouTube channel within hours. It didn’t happen until yesterday, five days after the finals, this year. Manpower and knowledge in this area might be running short in Reykjavik, at least for now. People on /r/eve claimed that this year’s meta was boring, and closely mirrored TQ’s meta of mobile drones and assign mechanics. Those commenters could not be more wrong. There were four metas which changed over the course of the tournament. On the first weekend, mobile drones dominated due to the large number of new teams and early stage of the event. CCP nerfed the drone assign mechanic some time ago which reduced its usefulness on large scale battles on TQ. But with the limited number of pilots in the 125km tournament bubble, assigning remains as viable as ever. EWAR mechanics are still on the to-do list for CCP‘s balancing team, but their strong effects combined with very effective T1 frigates and cruisers. These hulls are a good choice for teams, as they cost few points per damp, and forced many teams to field mobile drone and sentry based teams. As a viable counter to damps, teams brought EWAR-immune Marauders to serve as durable assign platforms. The Golem was the best choice for this meta, especially due to its painter bonus and its damage projection. When warped to zero it can apply damage the the whole arena, so long as it receives squad bonuses for lock range. The Marauders also are the base for another meta: the Tinker. Tinkers consist of a low number of ships that orbit said Marauder within the short ranged but strong remote rep of a logi fitted T3. Very vulnerable to neuts and bumping, the fleet forms a battleball, assigns mobile drones or sentries to the Marauder, and does its best to tank for the rest of the match. Due to the low buffer tank of possible fleet members and T3 logistics, this setup is vulnerable to high alpha damage setups. For that reason, Pandemic Legion brought the bomber meta back in the later stages of the tournament, a successful way of dealing with many ship types on TQ as well. Without brick tanks bombs can volley through the T3 within seconds after the match starts. Bombers, however, especially without logistic support, are very vulnerable to any other meta, when the first few seconds do not work out as intended. Another approach to the high alpha meta is the artillery-fitted Sleipnir which was fielded mostly by HYDRA and Camel Empire in this year’s Tournament. As this concept demands high damp and ECM control over the other team, the meta comes full circle again – mobile drones and assigned drones can overcome the EWAR battle. Most of the mirror meta matches favored better pilots with better fits, as is to be expected. The other matches in this rock, paper, scissor meta were decided often before the clock even started, unless target calling mistakes were made. Overall the meta was very interesting to watch and fly this year. Drones will be a part of the next Alliance Tournament as well, since they can be used to counter heavy damps. Should CCP Rise and CCP Fozzie rebalance Recons and EWAR mechanics however, the meta might just be completely different next year. If not, the rules should be slightly changed to enable a greater variety of tactics and ships. Either way, after another solid year, I have faith in the process.